Madison Health operates a rural hospital situated on 2 acres of land in Madison County. The hospital experienced a decline in market share over the past several years. 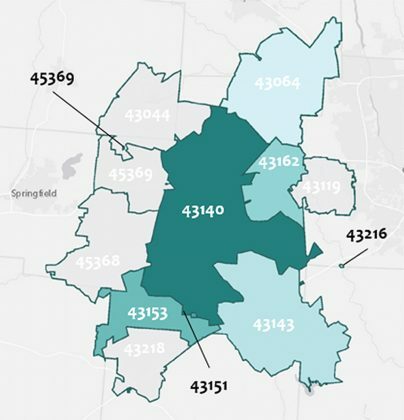 Under new leadership, the organization strategized with their alliance partners, The Ohio State University and Mount Carmel, in an effort to increase services available to the community. 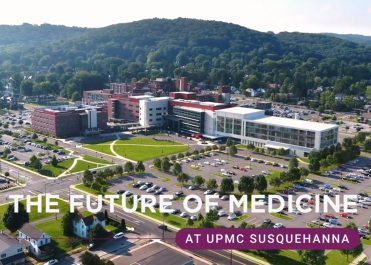 With a focus on providing care close to home, plans were formed to create a facility that would help promote growth and enable the hospital to recruit specialists. The undersized 1960s emergency department includes small patient bays divided by curtains that leave inadequate space for patient care and privacy. As a proud partner of The James Cancer Network, Madison Health focused on creating a treatment center for patients to receive The James care close to home. The need for a modern facility with a new emergency department, cancer center and specialty office space was recognized by leadership. Trinity performed a business strategic assessment of facility operations, an economic impact analysis and a scalable and incremental phased master plan. The result is a $25 million project comprised of a 60,000 sf modernization and 37,500 sf of expansion. The plan meets Madison Health’s economic and philanthropic funding capabilities. 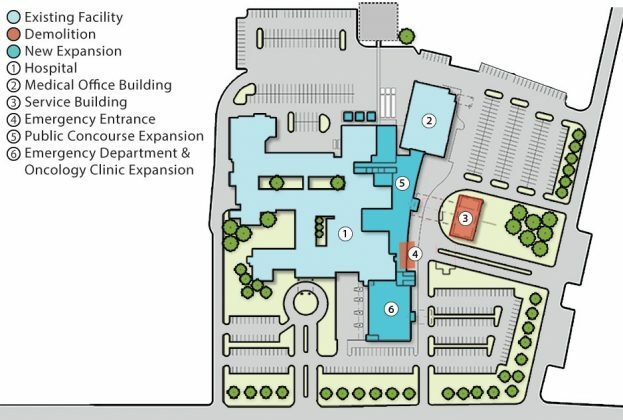 Trinity collaborated with clinical staff and caregivers to design the first phase of the master plan: a 37,500 sf expansion and modernization of an 8,000 sf specialty health center. Reorienting the front of the hospital along Park Avenue creates enhanced parking for patient and visitor friendly access, while a fresh and contemporary image at the main hospital expansion reflects and reinforces the hospital’s brand for excellent health care service. The project includes a new 11,200 sf outpatient natural light filled public concourse linking the diagnostics department to an existing medical office building; a new 2-story, 26,000 sf annex at the front of the campus housing a modernized and expanded 13,400 sf emergency department on the first floor, a 5,500 sf cancer clinic with 7-public and 2-private infusion spaces on the second floor, plus a 5,200 sf obstetrics department modernization with best practice clinical design spa atmosphere and 300 sf of pre/post space. Completion is December 2018.